The Mystery Snapshot was taken outside of Hatshepsut’s Temple, built just outside the Valley of the Kings (Cairo, Egypt). Andy, you are the official Mystery Snapshot winner. Good job! Egypt is one of those places I’ve been wanting to visit for years. Some day, I will actually get over there. For now, I’ve got this post. 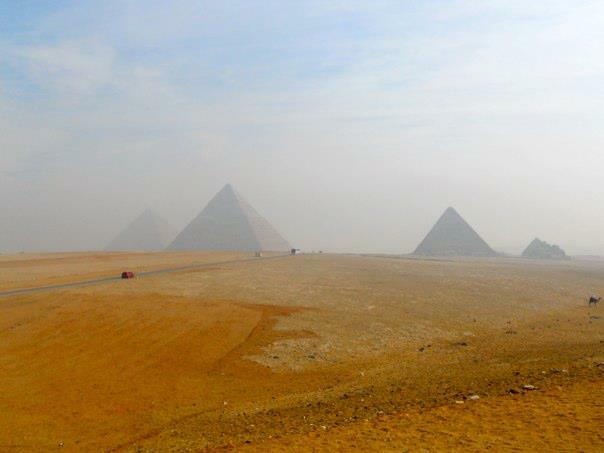 Guest Contributor Raechel H. w Sphinx and Pyramids in Egypt. 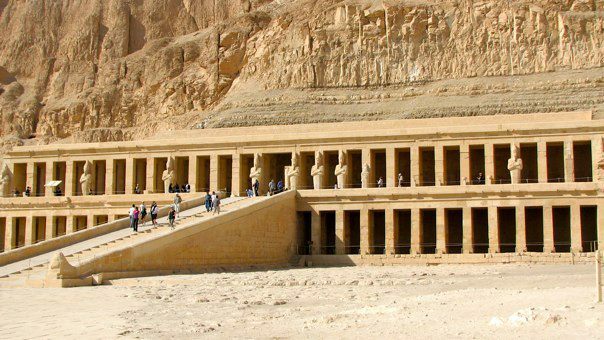 Random fact about Hatshepsut: She was the longest-reigning female ruler in Ancient Egyptian history. She ruled for 22 years, when she took over for her husband. Basically, her son, Tuthmosis III was supposed to take over, but Hatshepsut declared that he was too young to assume the throne. Instead, she sent him to military school abroad, and ruled herself. 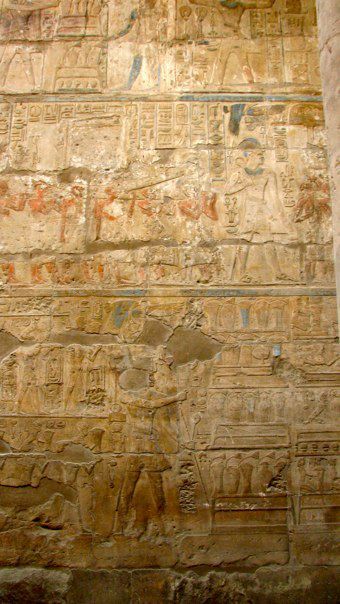 Eventually, Tuthmosis III came back, took over, and then tried to erase Hatshepsut from Egyptian history. She built tons of temples, obelisks, and other monuments to the gods, and Tuthmosis tried to destroy all of them – thankfully he did not succeed. What’s really cool (in my opinion) is that for the longest time it was believed that Hatshepsut’s mummy was missing. Turns out, they found the mummy of Hatshepsut’s favorite nurse in her tomb, and found a tooth in some kind of box. A few years ago, they x-rayed the box, and the tooth fit PERFECTLY in another mummy that was already in the Egyptian museum in Cairo! So they had Hatshepsut’s mummy all along! Egypt is a place I’ve wanted to visit since I was a kid, and especially during the past year (which is no surprise to the people that know me, I’m sure). 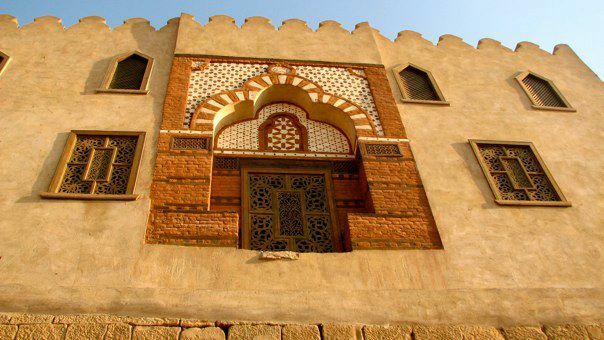 Egypt provides a fascinating juxtaposition of ancient and modern culture, in the cross-world between sub-Saharan Africa and the rest of the Middle East. Pyramids. Cairo, Egypt. Photo by RH. Cairo itself is an enigma of sorts; it is absolutely overflowing with people (approximately 18 million officially, but more likely close to 21 million residents), and every one of them seems to have a car. All of that on top of ancient aquaducts, pyramids at the city limits (you can see the Cairo skyline from Giza), ancient markets, and the Citadel. Traffic in Cairo is like nothing I’ve ever experienced — absolute gridlock at all times of day, with the exception of Friday mornings when everyone is at prayer or at home. 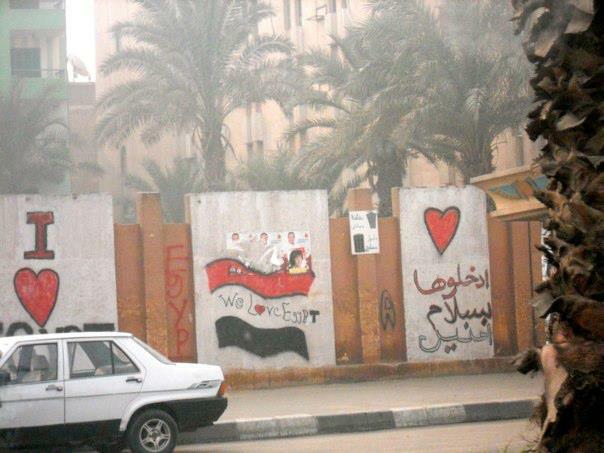 Cairo graffiti outside voting site for Parliamentary elections. Photo by RH. During the Revolution, I didn’t understand why my friends who live in Cairo were making such a big deal about no one being on the roads, about it being completely shut down – but now I certainly do. The traffic itself is absolutely fascinating. Cairo drivers get into this rhythm where they’re able to find every hole in every lane as they progress down a highway or main thoroughfare, and that’s how they progress from point A to point B. 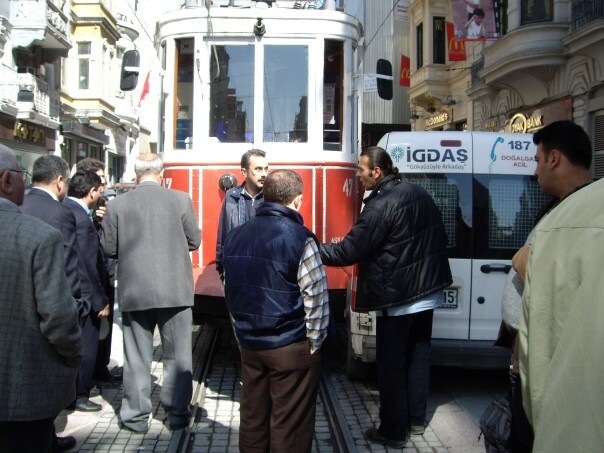 Lane lines, when present, are merely suggestions – not absolute. And most times, you’ll see at least one car, truck, or motorbike driving the opposite direction from the rest of the traffic. As multiple Egyptians told me, this is “democracy in action – you can drive whichever way you like. If people don’t like it, they can have another revolution!” Crazy to hear members of the Egyptian military joke about this, but it’s a good sign that people are proud of what they’ve accomplished. 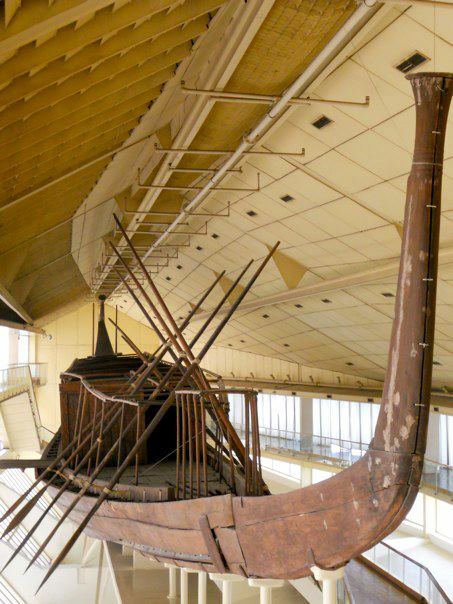 Solar boat, discovered in the 1980s. It was found buried in The Great Pyramid. Its purpose was to transport the Pharoah to the afterlife (in particular, to the Sun God, Ra). Photo by RH. 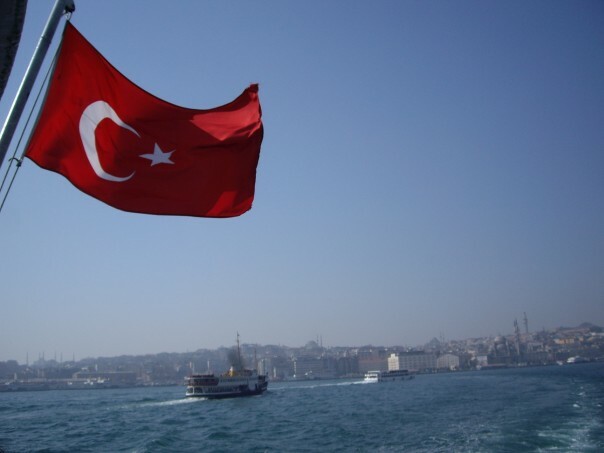 I was fortunate enough to be there during the Parliamentary elections – seeing lines of men and women at the polls was pretty inspiring. I was able to hit up the Khan el-Khalili (the famous market), wandering around the Ali Muhammad mosque and the Citadel, meandering through Islamic Cairo, trying out fantastic restaurants, and walking through Tahrir Square (although we were discouraged to do so). 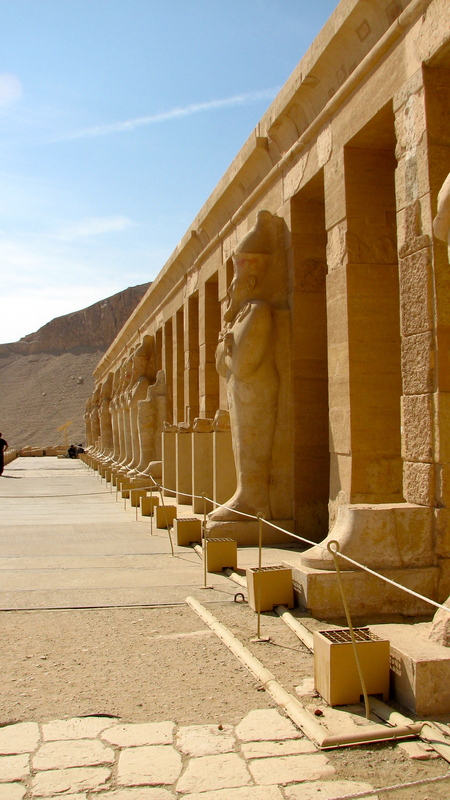 Temple of Hatshepsut. Photo by RH. 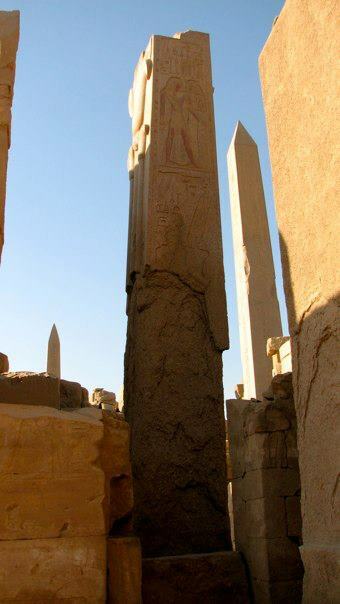 Obelisk built by Hatshepsut, which Tuthmosis III tried to destroy by essentially covering it up. Ironically, this just preserved the obelisk, leaving much of the original details visible. Photo by RH. During my trip, I was able to check out Luxor. I left as Cairo started to get crazy again (there was a sit-in at Parliament that led to clashes between different sides), which was probably good timing. Luxor is the complete opposite of Cairo: it’s pretty tiny, there are only a few hotels where tourists stay, and you absolutely have to take a cab to get from point A to point B. Luxor is more restrictive than Cairo in that sense – in Cairo we could walk around a lot more (mainly because there were things close by, in Luxor that’s not really the case). Since I was solo, I hired a guide and a driver (a friend of mine connected me with a good company), and saw Karnak and Luxor temples before exploring the Valley of the Kings and Colossi of Memnon. 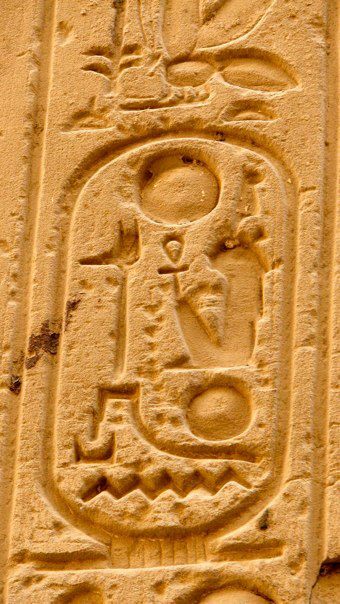 Cartouche for Ramses II, the longest ruler of Ancient Egypt (this particular cartouche is engraved all over Karnak Temple in Luxor). Photo by RH. The guide and I talked about a lot of things — the revolution in Egypt, Occupy Wall Street, the impact of everything on Egyptian tourism (tourism has obviously taken a major hit, which is problematic), the efforts that the government is making to regulate and organize things a bit more (to try and give licenses so folks can set up stalls to sell things outside of tourist areas rather than letting various people bombard tourists who are trying to enjoy what they’re seeing), and Luxor itself. After everything we discussed, I left with a bit of hope that maybe Egypt, post-election, can go back to a semi-normal state. Mosque built at what was street level before they discovered the Luxor Temple. 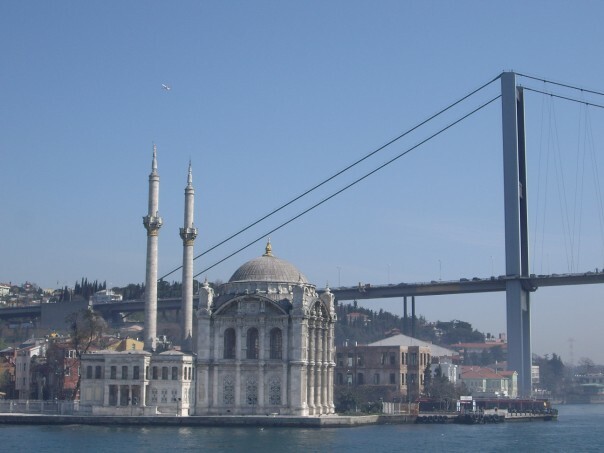 The mosque is still a functioning prayer site. Photo by RH. 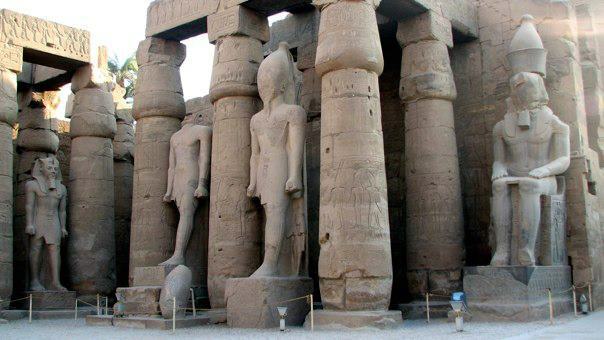 Additions to Luxor Temple made by Alexander the Great. Photo by RH. I definitely need to go back and see more – there are tons of sites in Luxor that I was not able to explore, and I did not make it down to Aswan or along the southern border (which I’ve been told is pretty amazing). Hopefully, I’ll be able to make that happen soon – and I’m always looking for someone to travel with me if anyone is interested! 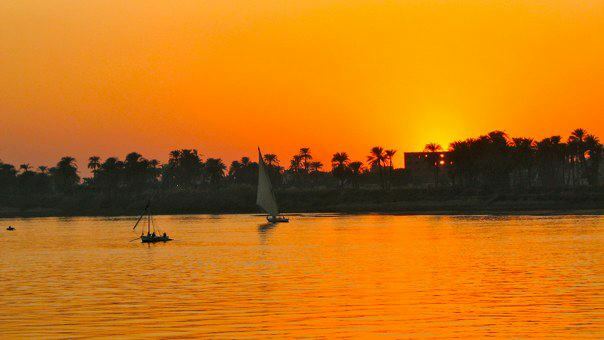 Egyptian Sunset. Photo by RH. Raechel lives and works in Washington, DC; Raechel and Tavel met while Raechel was conducting a Fulbright Fellowship in Brussels, Belgium. 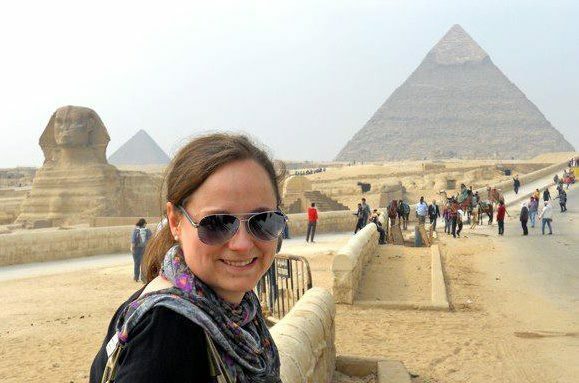 While Egypt was phenomenal, Raechel’s favorite place to travel is Rome, where she spent a year abroad. She hopes to continue to cross countries and continents off her bucket list, and will head to Costa Rica this Summer with her family. 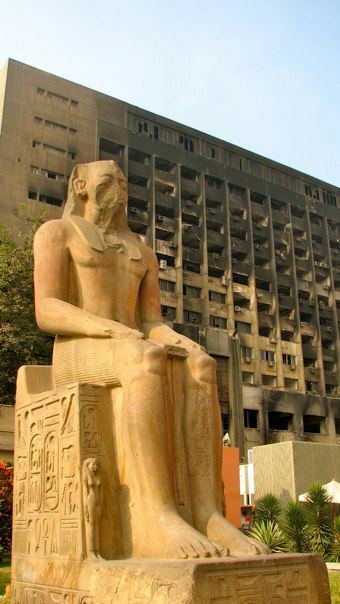 So there ya have it – Egypt. THANK YOU Raechel for contributing to TwT! Happy 15,000 Hits to TwT! 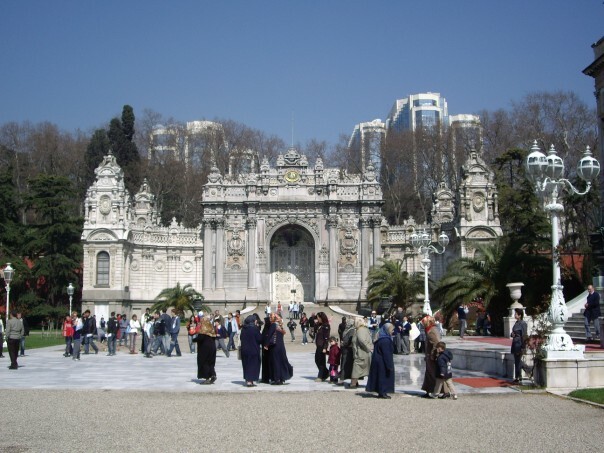 My baby, Travels with Tavel, has made it to 15,000 hits — thanks to YOU! I don’t know what that means (probably very little) but hey, I’m proud of this vague achievement. Ah yes, a lot of those hits came from accidental Googling by people in India and Ecuador. I do have the pleasure of seeing exactly what searches lead to my blog, and I find it very interesting to analyze. To give you an idea, here are a few of the recent Google searches that somehow led people from around the world (you can see where exactly on the Cluster Map to the right) to random TwT posts: “farewell tavel,” “strange things,” “are gringas attracted to Ecuadorian men?” “Die Echten Reber Mozart Kugelin” [this is actually the number one search that leads people to my blog, besides numerous searches with typos of the word “travel” without the “r”], “how to become normal,” “the two paths of darkness,” “gun stores in Quito,” “huge rubber boots,” “why are bus seats in Ecuador so uncomfortable” and “why do Lucky Charms make my stomach hurt?” So, as you can see, not everyone is LOOKING for TwT, but I like to think that at least a few of my accidental readers are happy when they get here. Here is the Mystery Snapshot. 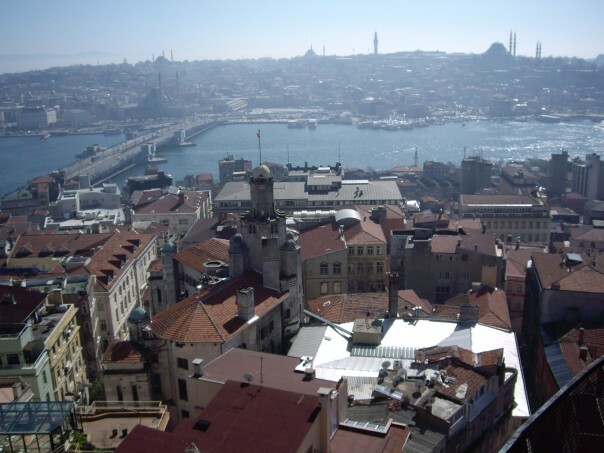 Can anyone out there tell me what city and/or what country this might be? THANK YOU for helping me pass the 15,000th -hit mark. I couldn’t have done it without all of you (yes, that includes you accidental Googlers) and I hope you continue to tune-in as I shoot to have an interesting enough life to earn the next 15,000 hits. 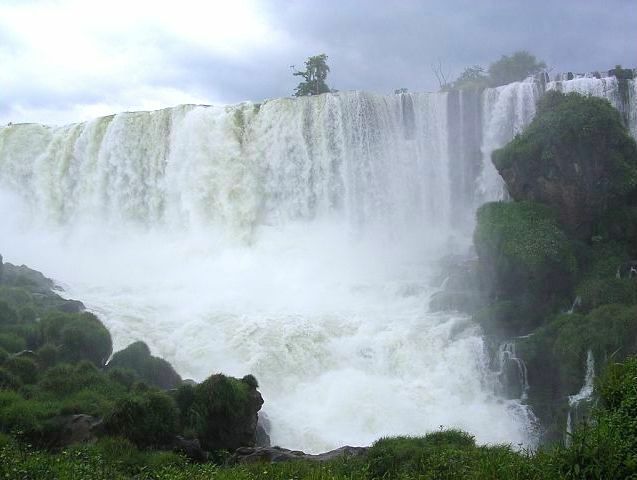 Visiting the falls in January is visiting them in the dead of summer, when they are at their fullest and the Amazon is bursting like a wet sponge with humidity. My friends Kerry, Molly and I flew in from Mendoza, Argentina. I vividly remember seeing this mist rising from an endless patch of lush green tree tops as the plane descended. It was a mist created by the crashing falls, and it was so powerful and grand that it could be seen from thousands of feet in the air. 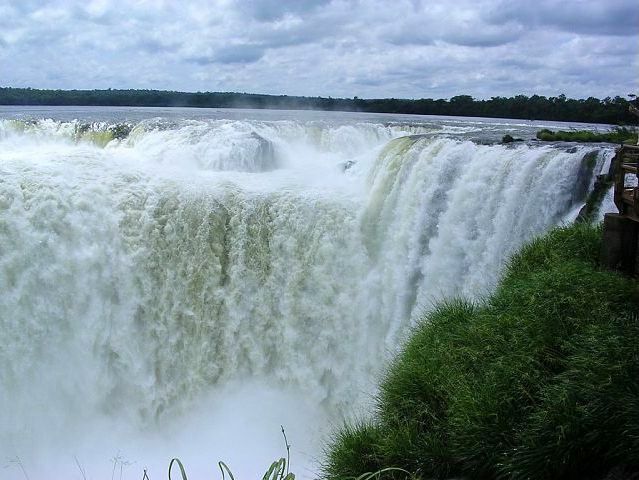 My photographs of Iguazu are alright, but you should definitely Google images of the falls to get a better idea of how impressive they are. The one thing I should mention is the sound. Imagine the constant ROAR of rushing, angry, powerful, water that constantly moans from beyond the trees. It’s so loud when you’re nearby that it’s hard to hear anything else. 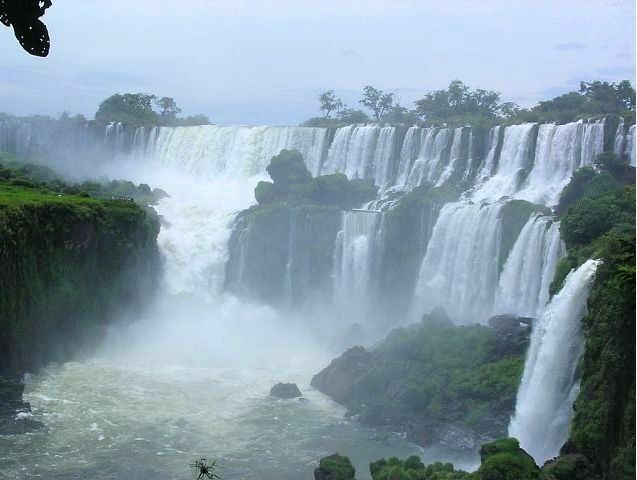 This YouTube video captures the sound pretty well, and tells you a little more about Iguazu. While sometimes you can look UP at the waterfalls, there are also some lookout points where you are literally above them looking down and INTO the falls, like you’re doing a strep throat test of a wild monster foaming at the mouth. 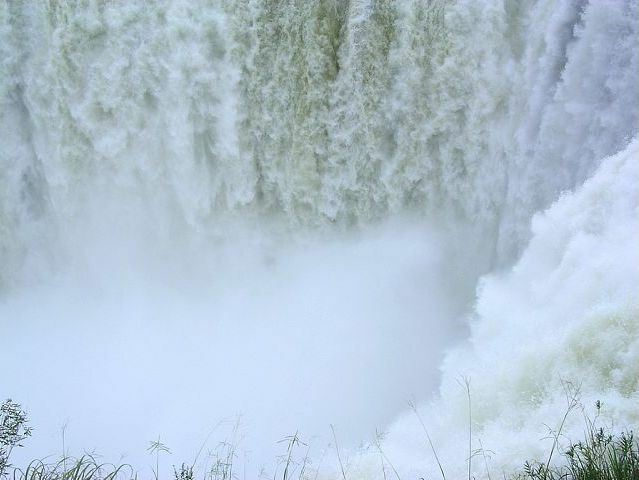 One of the waterfalls (the longest in height, at almost 300 feet) is aptly called La Garganta del Diablo or “the Throat of the Devil,” which I think captures the scary yet beautiful power of the falls. 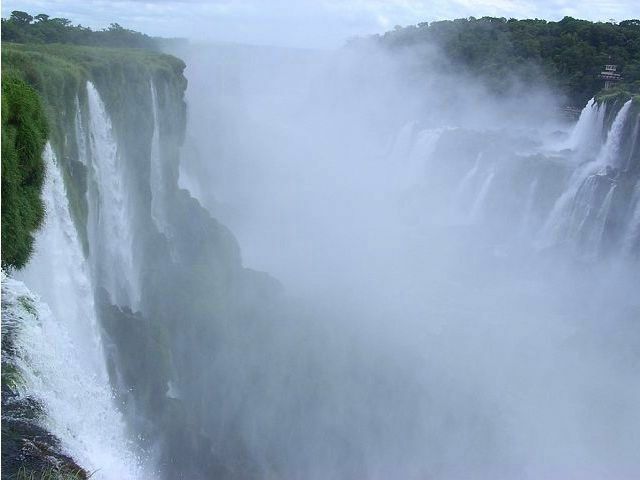 Garganta del Diablo, Iguazu. Argentina. The Throat of the Devil. 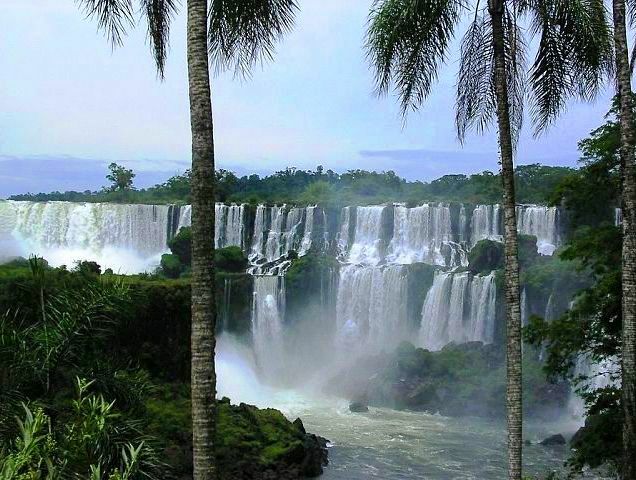 Iguazu, Argentina. Along with elevated trails above the water, hikes through the Amazon, and beautiful paths and lookout points to enjoy as you approach the many falls, I also recommend taking a boat (as many people do) in and out of a couple of the safer falls. It’s one thing to hear and see the falls, but it’s another thing to dash through them and let them pour over you, if only temporarily. Do feel free to share your experience with the falls if you’ve had one. There is much more I could say about them, but I’m a little pressed for time. They are absolutely beautiful, though. 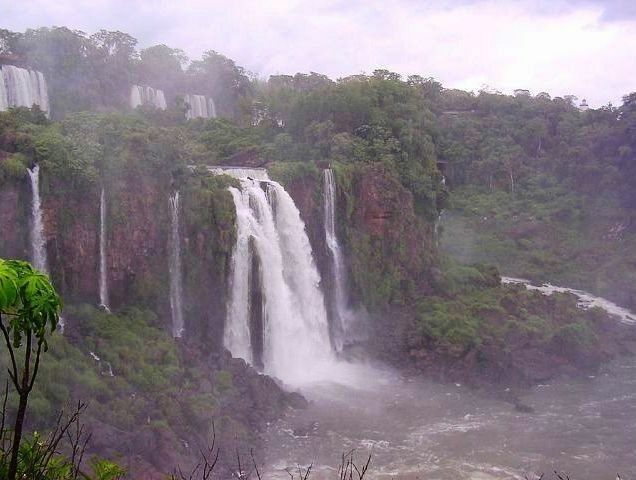 And even though Iguazu is a bit of a deadbeat town, a short weekend trip to Iguazu is completely worth it. The “almost” World Wonder is truly an amazing sight. 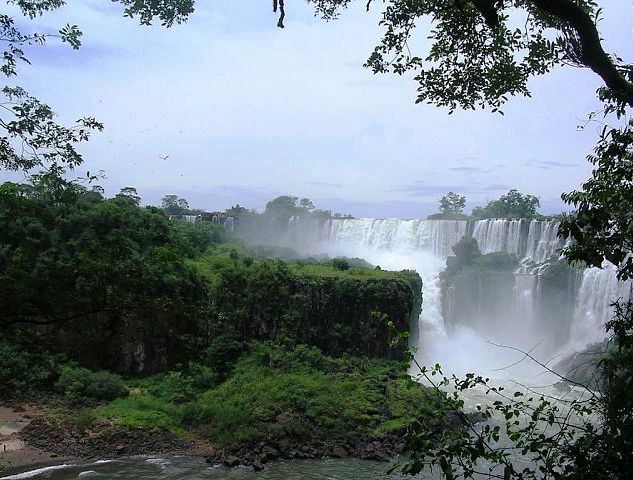 Iguazu Falls in the distance, Argentina. Tonight, I head to Buenos Aires for a month where I’ll be on a writing assignment for VIVA Guides (joined by my friend Shannon). Whoohoo! About one week after the trip, I move to Quito for my new job and adventure. Right now, I feel a bit like I’m caught in the current of one of these waterfalls. Life is rushing and roaring around me and I’m completely in the middle of lots of noise, change, and maybe a bit of chaos. But, I’ve gotta say… it’s all pretty beautiful. It’s time to see things from the Argentine side of the noise, again.